IT'S easy to get caught up in the somewhat over-pretentious design-speak of some car manufactures with their streamlined-this and aerodynamic-that. We have faux leather upholstery, piano-black trim, ambient lighting with thousands of shades and a direct line to your own personal internet chum. 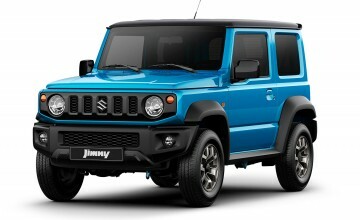 Then on the other hand we have the three-door Suzuki Jimny. It's been around since 1970 and has built up quite a cult following as a no frills, go-anywhere, lightweight 4x4 with a price-tag that beggars belief. 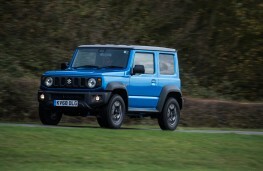 Now after a 20-year wait, we finally have the all-new fourth generation model. And it is all new too with a fresh look that is not so radical that it will scare away loyal customers, but just upmarket enough to attract new interest - and it is gaining plenty of attention with a waiting list of over a year for new models in Japan. 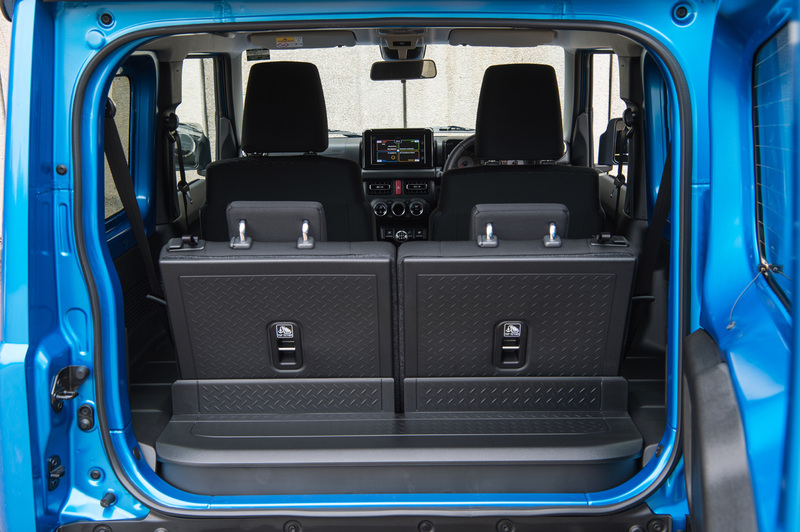 Compared to the outgoing version, the new Jimny is 20mm higher, 45mm wider and 30mm shorter and while other manufacturers strive to develop ultra-efficient streamlined vehicles, Suzuki is very proud of the Jimny's square design. In fact, squint hard enough and it bears a slight resemblance to the good old Land Rover Defender. 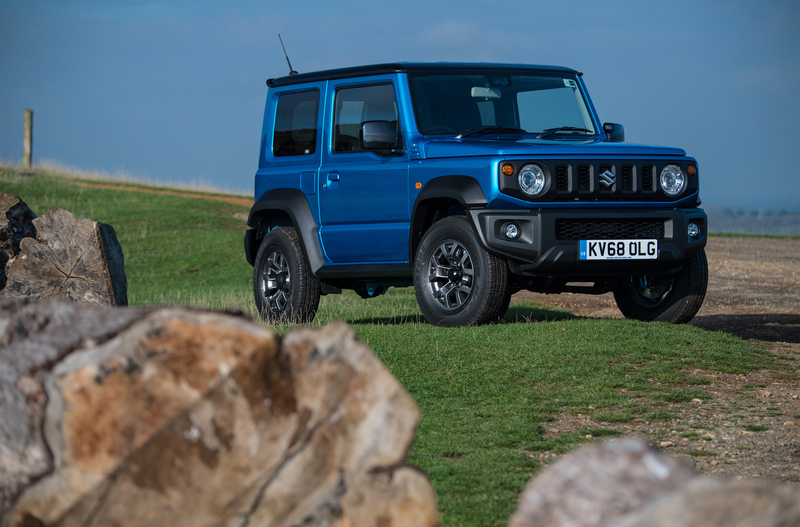 And like the Defender, the Jimny has stand-out design cues such as a distinctive grille and round headlights that mean it can be spotted from quite a distance. There are just two trim levels called SZ4 and SZ5 and prices range from £15,499 to £18,999. 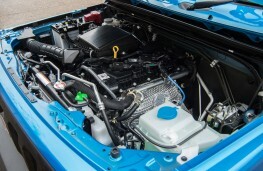 Out goes the old 1.3-litre engine and in its place is a new 101ps 1.5-litre four-cylinder petrol engine mated to either a five-speed manual or four-speed automatic transmission. When it comes to performance, it's a tale of two halves really. 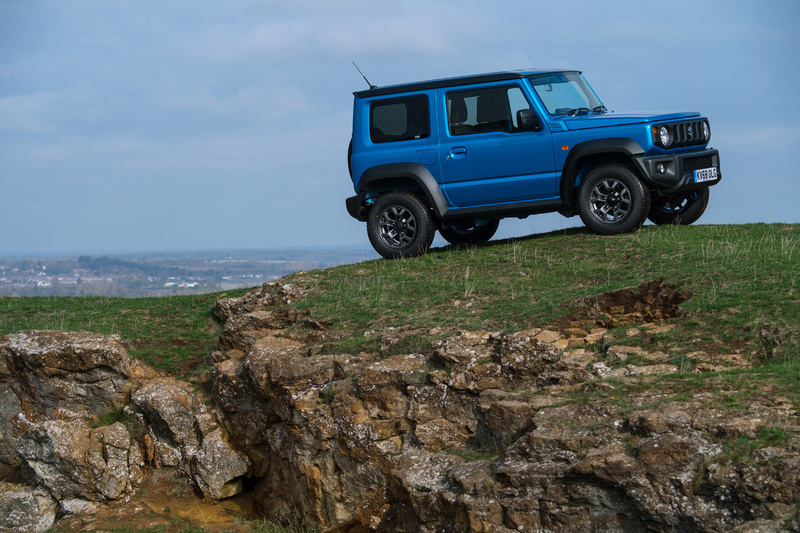 For its entire history the Jimny has been seen as a car that's much better grinding its way through an off-road obstacle course than tackling the school run on perfectly smooth Tarmac. After all it was developed to be a tool for professionals and it has certainly achieved that goal. And although Suzuki has worked hard to improve the Jimny's on-road sophistication, it still prefers getting off the beaten track for some hard grafting - and that why the likes of farmers and builders account for about 70 per cent of sales. 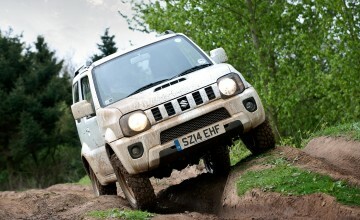 One of the Jimny's great advantages over more traditional mud-pluggers is its lightweight structure. 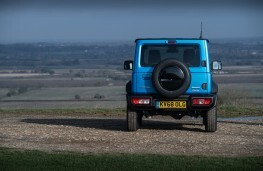 It weighs just 1.4 tonnes so simply skips across most surfaces that would trouble hard-core 4x4s. Other factors in its favour include a tough ladder frame structure, great clearance angles, rigid axle suspension and part-time 4WD with low range gears. We tried the Jimny SZ5 Allgrip model with manual gearbox costing £17,999 (optional dual tone paint added £650 to the cost). 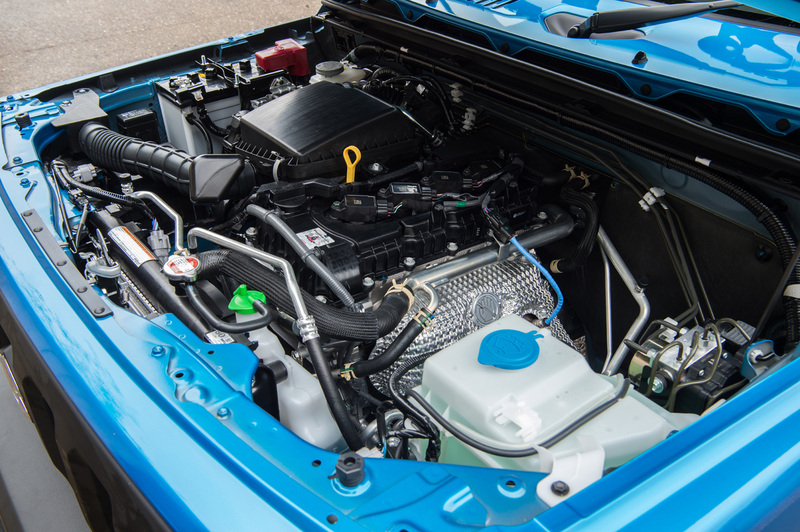 There is no official 0-62mph sprint time yet but the top speed is set at 90mph and it can deliver combined fuel economy of 35.8mpg with carbon emissions of 178g/km. 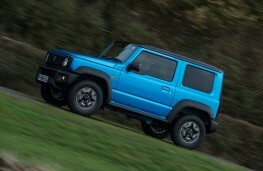 On the road the Jimny has certainly upped its game with more refined suspension leading to a far better ride. It will never compete with a classy crossover due to a fair amount of body sway and noise intrusion, but it's a whole lot better than the generation-three car was. The highly effective suspension is excellent at ironing out most bumps and dips, but if you hit an unexpected pothole it will send shudders through the vehicle. Comfort levels are good enough with supportive seats that have ample adjustment. The high-sided design means there is lots of head room for all occupants, but the compact dimensions mean back seat passengers over six foot will struggle with the restricted leg space. Then it was to the off-road, wooded course where the Jimny truly came to life. It climbed muddy banks, traversed boggy paths, clambered over rocks and balanced at death defying angles without the slightest hesitation. And all this was accomplished on standard road tyres. 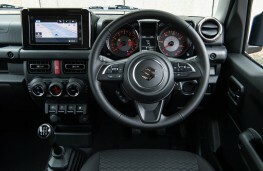 The latest Jimny has been brought into the 21st Century with regards to technology too and it boasts the likes of air conditioning, a CD player, Bluetooth connectivity and cruise control. Step up to SZ5 trim and you will see the addition of 15-inch alloys, climate control, navigation with Smartphone link via Apple CarPlay or Android Auto, rear privacy glass, LED headlights and heated front seats. As the Jimny is likely to be found on a building site packed with tools or laden down with bales of hay on a farm, it needs to be practical and it is with lots of wipe clean surfaces and the majority of controls are easy to operate while wearing gloves. 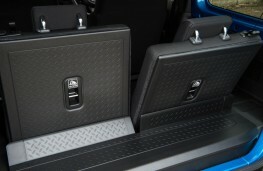 The boot is accessed via a side-hinged swing door which is fine unless someone parks too close behind. 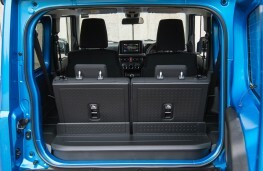 With all the seats in an upright position the storage limit is just 85 litres. 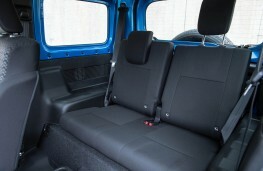 But the 50:50 split-folding rear seats can be dropped completely flat and the capacity increases to 377 litres. There is a handy storage compartment beneath the boot floor and another clever touch are the plastic-coated rear seat backs and boot floor so they can easily be washed down. 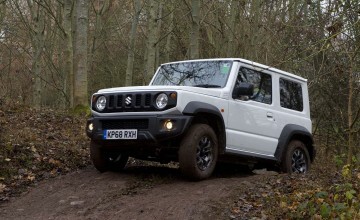 One area where the Jimny rather disappoints though is safety. It only managed three out of five stars when it was tested for its Euro NCAP rating. On-board systems include hill descent control, lane departure warning, high beam assist, six airbags and dual sensor brake support which warns of a possible collision and applies the brakes autonomously if warning are ignored. 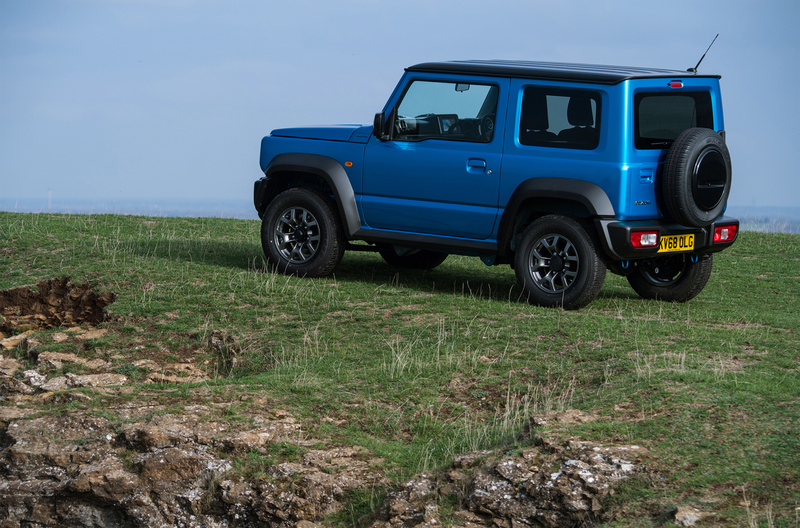 All in all, the new Jimny is a fabulous little car that does exactly what's expected of it. 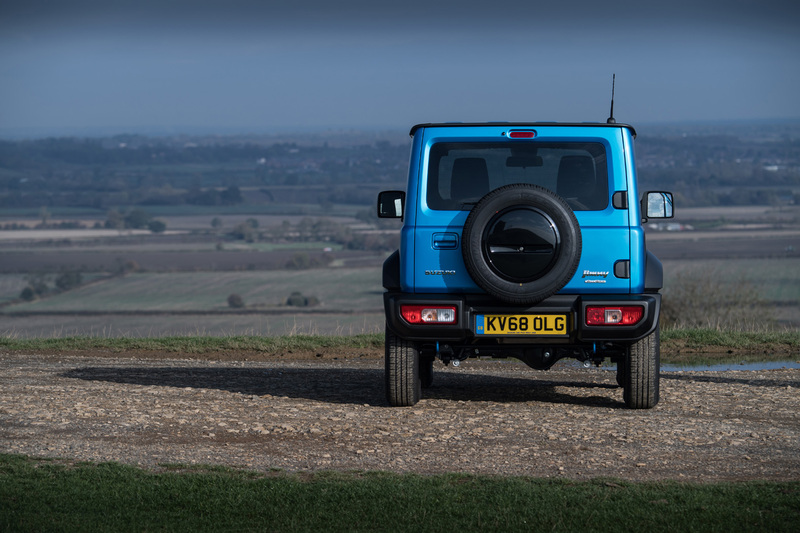 Okay, it's not the most refined on the road but head out into the countryside and it's more than happy to show off its 4x4 ability to anyone willing to watch.